If you live or are travelling to China then a VPN is essential. 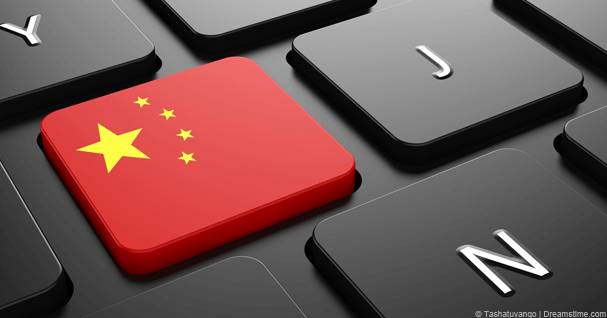 In this guide I’m looking at the Best VPN for China and comparing 5 leading providers. With so much outdated and inaccurate information this updated guide for 2017 will allow you to surf the internet trouble free in China. A VPN is definitely a requirement for internet use in China these days. From blocked websites to government spying if you’re not using a VPN then your internet access is severely limited in mainland China. Thankfully a VPN will allow you to access blocked websites in China and avoid Chinese government snooping so you can use the internet restriction free without fear that your online browsing habits or views can be seen by the Chinese government. VPNs are suitable for permanent residents in China and those that are visiting there. Not all VPNs are suitable for use in China but the 5 compared below all work in 2017. Below I take a look at 5 of the Best VPNs for China in 2017. VPN.ac are certainly the number one choice when considering a VPN service in China. The first positive to the service for use in China is the payment methods. Most VPN providers only cater to western payment methods which can make it difficult to pay if you’re in China itself. VPN.ac accept both UnionPay and AliPay and if those payment methods aren’t suitable then you can pay with Bitcoin too. If you’re paying before travelling to China then Credit Card, Paypal and a whole host of other standard and some none standard payment methods are available. VPN have specific modes in their custom VPN clients that allow you to get the server list in China and specify servers that are suitable for use in China. They also go further and inform you of various Chinese issues such as qq.com monitoring email accounts for VPN related emails and instead let you know that you should use a none Chinese email service such as Yahoo!. There are so many features and dedicated options for use in China that it’s impossible to sum them up but when a provider even goes out of their way to specifically answer if the service works in China in their FAQ then you know you’re on to a winner. If you live in China or you’re planning on visiting there then definitely sign up to VPN.ac, you won’t be disappointed. If you’re looking for a larger VPN provider then IPVanish is the place to start. In terms of payment options available IPVanish also accept AliPay and Bitcoin. Although they don’t support UnionPay the two options that are native to China should help you pay for the service. There are again a host of other payment options if you have access to them in China. IPVanish has a wealth of servers in Asia and with so many nearby China you’re likely to get some pretty decent speeds. Servers in Hong Kong, South Korea and Japan should all be suitable for accessing an internet free of censorship and restriction. IPVanish has a specific mode in its software that will let you obfuscate OpenVPN traffic. If you’re struggling to keep connected then this mode will disguise your VPN traffic so it’s much harder for the Great Firewall of China to determine that you’re using a VPN service. IPVanish isn’t quite as China friendly as VPN.ac but they do offer a very good service and they are one who is confirmed as working in the country. If you’re interested in taking a look at IPVanish in China then visit their website below. ExpressVPN can certainly be the answer to your Chinese VPN questions. Special “Stealth” servers are available in Hong Kong which are dedicated servers aimed at helping Chinese web users evade censorship such as that imposed by the Great Firewall of China. There are also servers in 87 other countries too and with servers nearby such as Japan, South Korea and Taiwan there is plenty of scope for searching around for the fastest and most reliable connection. ExpressVPN has custom clients for all major platforms just like both VPN.ac and IPVanish but one additional bonus is they cater for Ubuntu with a custom Linux client so if you want easy connection in China for your Linux system then ExpressVPN is definitely the service to consider. ExpressVPN comes with a free SmartDNS service and while it won’t be suitable for many purposes in China it will be for some and gives you another avenue to access the blocked content that you want. The service is more expensive than both VPN.ac and IPVanish but if the features answer your needs then you can visit their website below. VyprVPN claims to be “The Fastest and Most Secure VPN for China” and while we can’t independently verify those claims it is certainly true that VyprVPN offers a very good service for use in China. One of the best features of the VPN service is their special mode called Chameleon that utilises OpenVPN but scrambles the metadata making it almost impossible for the Chinese authorities to discover that you’re using a VPN service. Chameleon is exclusive to VyprVPN and is one of the best ways to defeat censorship within China and bypass the Great Firewall. VyprVPN has servers in more than 80 countries with servers in Hong Kong, Macau, Taiwan and Japan all in close location to China to give the best possible speeds. VyprVPN is one of few providers who own all their own infrastructure which in theory means no one else should have access unlike some other providers not listed in this guide who rent their VPN servers from third parties. Alipay is accepted which will help you pay easily in China and a host of other standard payment options such as Paypal and Credit Card. You’ll need to sign up for the mid-tier package or higher to take advantage of the Chameleon mode but if you don’t mind the cost then you can visit their website using the link below. Overplay round up my Best VPN for China 2017 selection. My opinion is you should definitely consider VPN.ac or IPVanish but if they don’t suit your needs then VyprVPN and ExpressVPN also make good alternatives. If you don’t like any of those four then Overplay is well worth a look. It isn’t confirmed as working in China but there are reports that it does work. Overplay comes with a SmartDNS service included as part of the package so if you’re attempting to access blocked TV services from outside China then they could be your best bet. A SmartDNS won’t encrypt your internet connection so isn’t suitable for browsing sensitive sites or for posting information that you wouldn’t want the Chinese authorities to know about. However it will give you the best possible speeds because there is now slowdown from encryption. I suggest you start with one of the other providers first but if you fancy giving Overplay a try then you can visit their website below. The censorship landscape in China changes rapidly and there are tons of outdated articles and information that claim to be from 2017 but is just re-titled with the year 2017 and just the same old out of date information that has been available for years. My recommendation is to start with either VPN.ac or IPVanish depending on which is more suitable for your needs. They both work in China but there are a few differences to the services so it’s worth checking out both their websites and then choosing one. All the providers working in China will allow you to access restricted websites such as Facebook, Instagram and more and access blocked chat services. They will also allow you to encrypt your internet connection so that you’re free to post your comments online without anyone being able to link them to yourself as long as you take other precautions such as using a unique username and not posting personal details about yourself. To recap on the available Best VPN for China options in 2017 check the table below.